Below you can view all the homes for sale in the Oak Terrace Preserve subdivision located in North Charleston South Carolina. 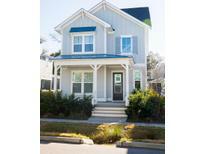 Listings in Oak Terrace Preserve are updated daily from data we receive from the Charleston multiple listing service. To learn more about any of these homes or to receive custom notifications when a new property is listed for sale in Oak Terrace Preserve, give us a call at 843-306-2224. Don't let this rare opportunity to get into a premium location at an affordable price pass you by! MLS#19010575. W.P. Baldwin & Associates. The living room is modern and bright, with an artfully designed fireplace and perfectly positioned windows. MLS#19007453. Keller Williams Realty Charleston. Also upstairs there are 2 additional bedrooms, a 2nd full bath, and laundry/mud room. MLS#19005708. Carolina One Real Estate. It can be used as a playroom, guest room, office, or extra family room. Listing Agent is owner. MLS#19003794. Highgarden Real Estate. This credit is in addition to any negotiated seller concession MLS#18027629. Carolina One Real Estate. You'll find lots of windows for natural light in this home and an extra large, covered front porch to relax and enjoy the natural beauty of Oak Terrace Preserve. NOTE: No model/office onsite. MLS#18021467. Eastwood Homes.